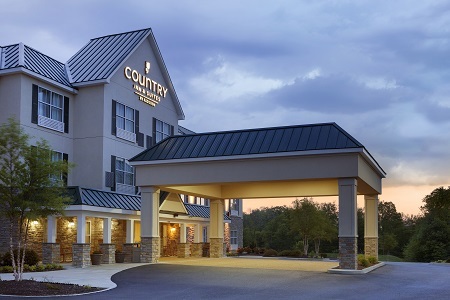 Pull off of I-95 and enjoy a restful night’s sleep at the Country Inn & Suites® by Radisson, Ashland - Hanover, VA. Our central location makes us a convenient home base for your visit to Kings Dominion or other attractions in the region. Take a short drive to explore great shopping at Short Pump Town Center, or check out Hanover Tavern to catch a professional theater performance. Outdoor sporting enthusiasts love being close to Bass Pro Shops and GreenTop. 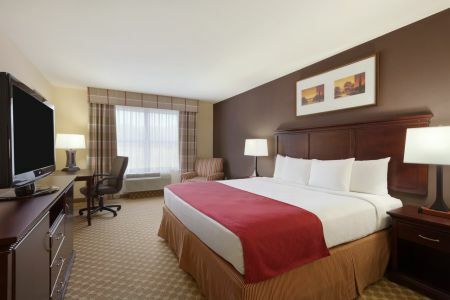 We also lie 15 miles north of Richmond, giving you easy access to thrilling races and NASCAR events at Richmond Raceway. 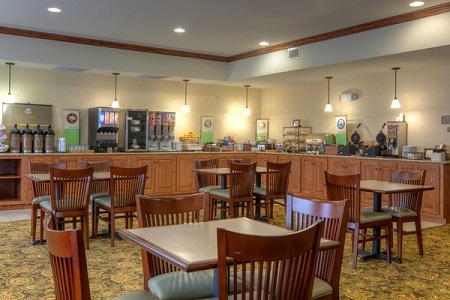 Fuel up each morning with our free, hot breakfast featuring homemade waffles, yogurt, cereal and more. When lunch or dinnertime rolls around, check out one of the nearby restaurants, such as Iron Horse Restaurant for juicy steaks or Jake’s Place for locally beloved barbecue. Kings Dominion – Unleash your inner child at this amusement park, a 12-minute drive from the hotel. Have a need for speed? Ride the Intimidator 305. You can also cool off at the water park or see a live show. Richmond Raceway – If roaring engines and speeding cars get your adrenaline pumping, then a stop at the Richmond Raceway is a must. This track just 11 miles away welcomes NASCAR drivers for the XFINITY series. Center of the Universe Brewing Company – Spend an enjoyable afternoon sampling inventive brews with family and friends at this local hotspot. In the warmer months you can enjoy live music and corn hole on the outdoor patio area. Host up to 40 guests in our meeting room, perfect for corporate events, team meetings or family gatherings. Take advantage of free high-speed Internet access, audiovisual equipment and planning assistance to host a successful event. Unfortunately, the hotel cannot accommodate pets.